Writing is a product of human thought and behavior. What better way to fine-tune your writing processes than to better understand your brain? In the course of writing The Writer’s Process: Getting Your Brain in Gear, I read many terrific books on cognitive science, behavioral economics, and psychology. This glossary, from the book, aggregates the concepts most relevant for writers – as well as a few contributions of my own. Attention: The connection between our inner selves and the outer world. Curse of Knowledge: The challenge of imagining the perspective of someone who lacks your knowledge or understanding. Empathy: The ability to share or understand another person’s experiences or feelings. Fixed mindset: The perspective that performance is a product of static, fixed abilities or talents. Flow: A state of effortless attention in which one loses track of time and is completely absorbed in the task at hand without self-consciousness or fear. 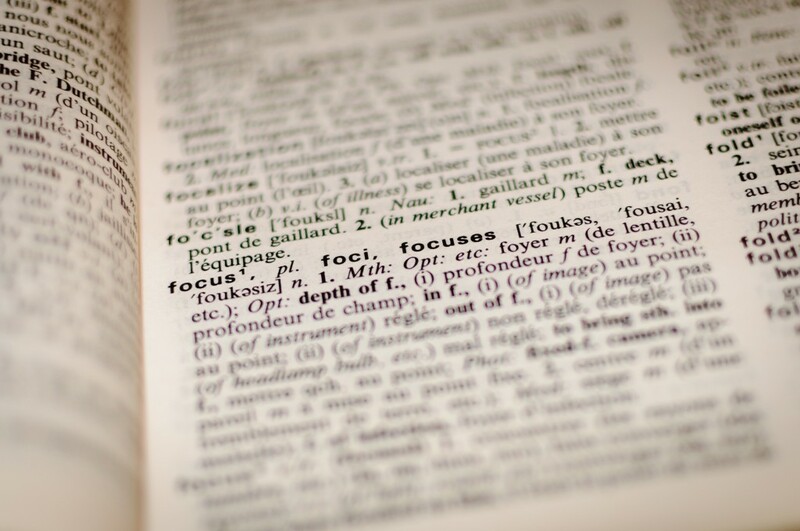 Focus: The act of directing attention; in most cases, focus refers to the intentional and targeted deployment of attention to a specific activity or task. Growth mindset: The belief that one can control one’s own performance and expand abilities through growth and learning. Imposter Syndrome: The mistaken belief sometimes held by accomplished individuals that they will be discovered as frauds; an inability to internalize one’s own abilities and accomplishments. Incubation: A stage in the creative process in which the subconscious mind works on a problem or issue, seemingly without conscious effort. Incubation Effect: The observed effect in which people are more creative when their brains are given a chance to work on a problem in the background. Mindset: A set of acting assumptions and attitudes that influence behavior. Multitasking: Doing more than one thing at once. From a neuroscience perspective, multitasking is a mirage. In reality, you’re switching your focus back and forth very quickly. Negativity bias: The mental tendency to give negative thoughts or responses more mental weight and focus than neutral or positive ones. Open attention: A state in which the thinking mind wanders, without focusing on anything in particular. In open attention, the Muse has a chance to be heard. You may experience open attention when engaged in simple, everyday activities that require little directed focus. Resilience: The ability to recover from or adjust to negative occurrences and setbacks. Scarcity mindset: The perception that a resource is fixed and finite, insufficient to meet everyone’s needs. When nine hungry people are presented with eight pieces of pie, the scarcity mindset will most likely result. The opposite is an abundance mindset. Scribe: I use this term to refer to the mental systems that use deliberate, intentional thought, effort, and discipline. In times before the printing press, scribes performed the essential work of copying and writing books. System 1 and System 2: Daniel Kahneman refers to these two systems in decision making. System 1 is intuitive and automatic, relying on shortcuts to save us the work of analysis. System 2 uses deliberate and intentional thought. Zeigarnick Effect: The brain’s tendency to reserve processing for unresolved issues: this can contribute to incubation, but can just as easily derail you by consuming precious attention for unfinished tasks. To see these concepts in practice, check out the book The Writer’s Process. And if you have others terms you’d like to contribute, let me know. I know that I’m not the only writer who geeks out on reading cognitive science and behavioral economics books!